Tekanpur is one of the villages that is badly damaged by the recent earth quakes in Nepal. 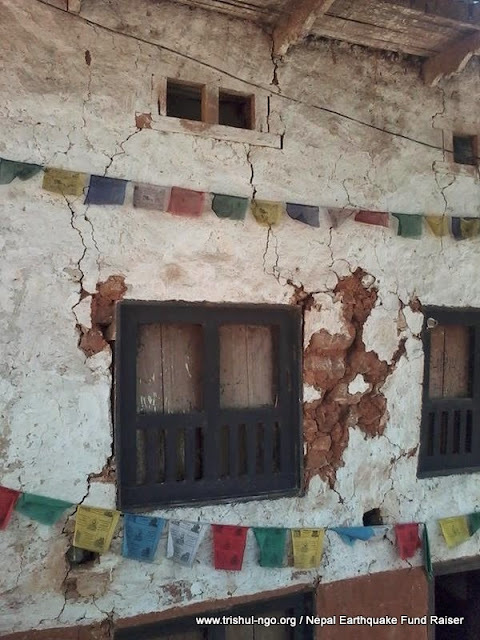 One of our close friends, Sherpa Dawa Lama Tamang, hails from this village, and he has requested for help to raise money for Tekanpur. Tekanpur is small village with 145 houses. 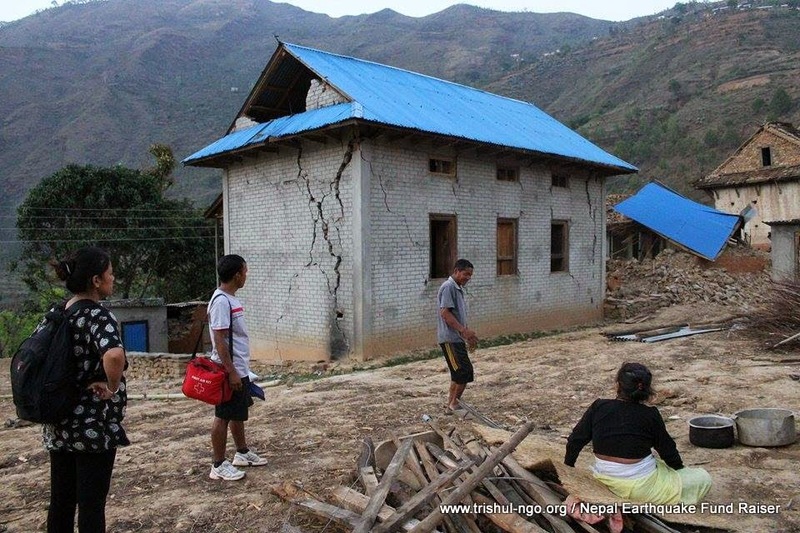 Some of the houses have collapsed, and of the remaining, most are badly damaged or are unsafe to live. 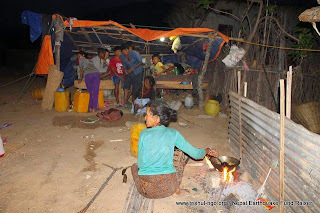 So, most of the villagers are forced to sleep outside under tarps or in temporary tents. 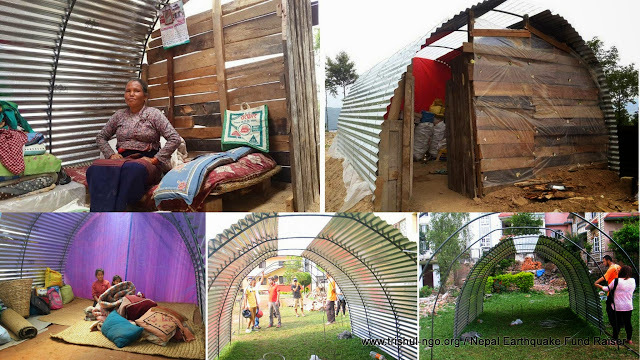 Good News is Dawa has managed to raise funds to source TIN (Roof Material) for 63 dry shelters for monsoon. volleyball kit; Frisbee etc; and stationery like drawing / art material / writing stationery for the local kids. · Contribution for transport overheads. · Tents and sleeping bags. SMALL / BIG, ANY KIND OF HELP IS WELCOME.. GO THROUGH DETAILS BELOW. 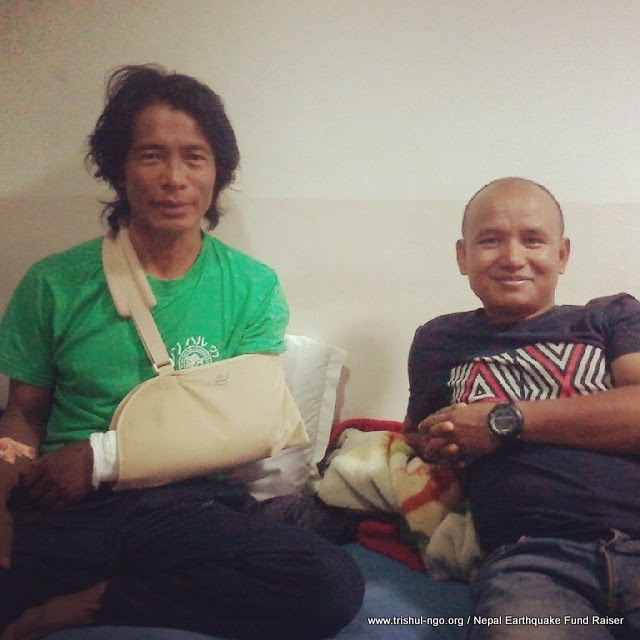 The Nepalese are some of the most generous, kind-heated, and friendly people in the world. They are in urgent need of our help, and timing is critical. A small contribution from you will make a lifetime of difference for all families in Tekanpur currently struggling to go about their daily lives after this tragedy. All the money collected will go directly in support of Tekanpur Village and we will be updating this page regularly. Please visit our Donate page for the bank account details. 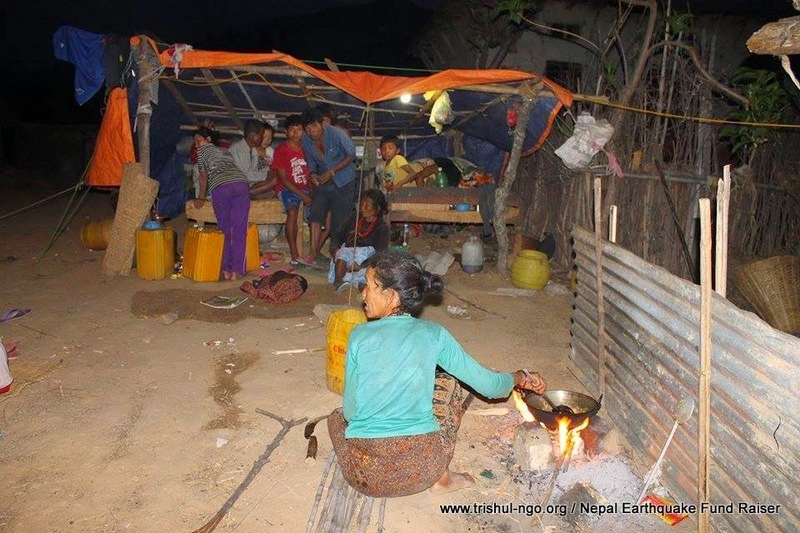 If you are transfering money online, do drop us a mail mentioning Trishul Nepal Earth Quake Relief Fund. 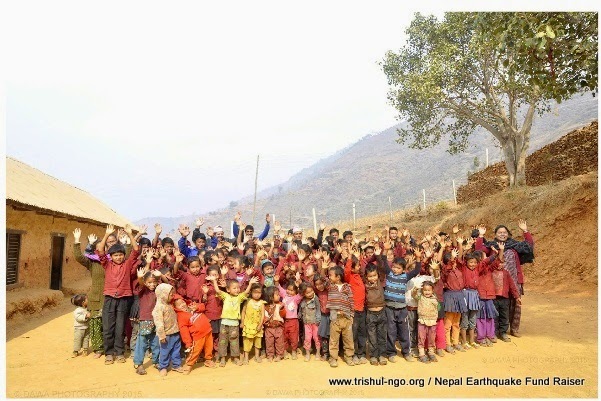 If you are sending a cheque, please mention Trishul Nepal Earth Quake Relief Fund behind the cheque. Note: All pictures are provided by Dawa Tamang. 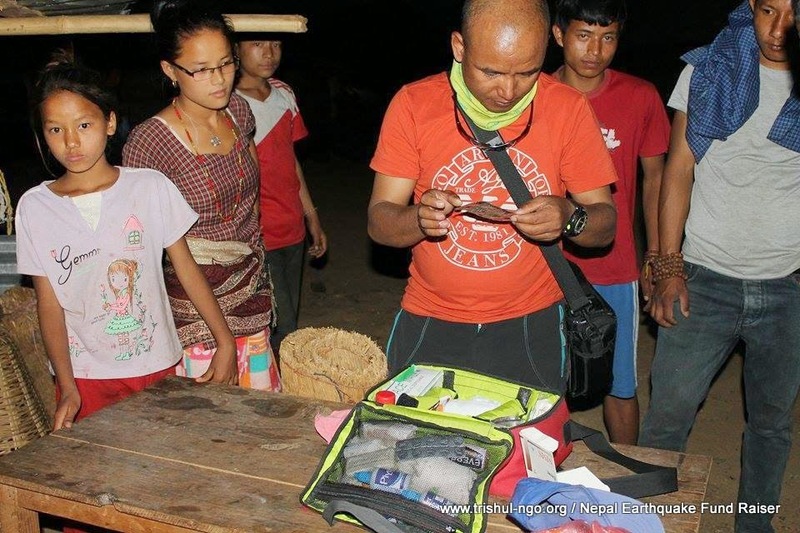 Shelter and Medical Aid: The monsoon season is fast approaching (June to September). Our first priority is to provide temporary shelters and medical care, especially for pregnant woman, babies, and children. A sturdy temporary shelter that will help a family stay dry and safe throughout the monsoon season will cost around $300 (per cottage). (Please have a look at the photos to see the shelters.) We have to build around 65 such shelters. Water: The village used to getgood quality water from the Rosi Khola River for the past 18 years. 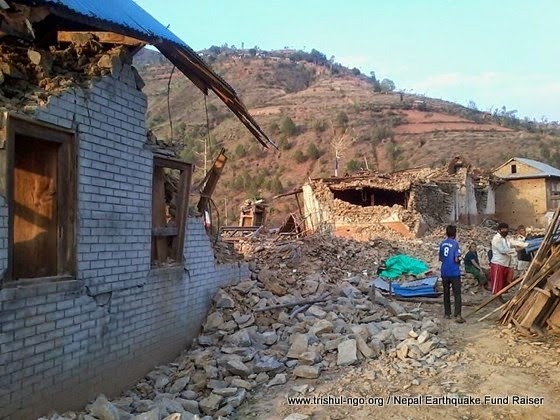 However, the iron pipes that have been supplying water to over 1,000 people have been destroyed in parts due to the earthquakes and consequent landslides. There is an immediate need to install new pipes and a water tank so that the entire village gets safe drinking water as well as water for sanitation purposes. Ensuring this will prevent a health crisis in later days. The cost for installing new pipes and a water tank is estimated to be $1,200. School:The Sanman Primary School in Tekanpur is a basic school established in 1984. The school operates in two buildings and has 135 students of various ages, eight teachers, and nine classrooms. The walls and roofs of the buildings were damaged in the earthquake, making them unsafe to conduct classes. The estimated cost of repair/rebuilding is $3,300. The work will be carried out with the help of the local community. 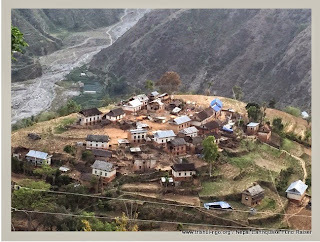 Name of village and location: Tekanpur is located at 65 km north-east of Kathmandu. After a 3-hour drive from Kathmandu, you need to cross the Rosi River and climb for 2 hours to reach he village situated at 1,500 m from sea level. Mechhe village development community has nine major villages—Bhotepati, Upper Bhorjyang, Lower Bhorjyang, Longshal, Mechhe, Tekanpur, Totke, Mukpa, and Choptar. During normal times with friends in Nepal.. Village Development Community Name: Mechhe.